Don’t let your content manage you. Traditional CMS offerings can be great assets – with a little tweaking and recoding -- for businesses in need of a generic but effective web solution. 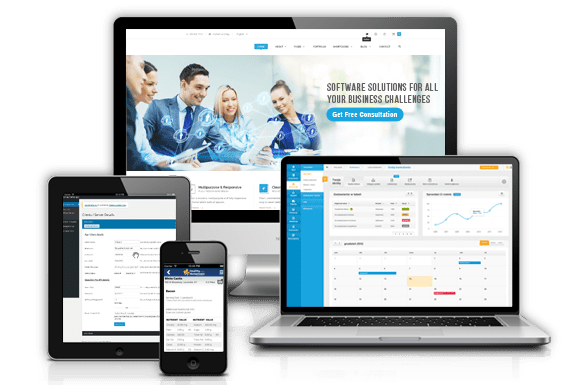 But when you need a content management system to match your high-powered web presence, ingrained workflows and specific business needs, that’s where Chetu’s custom software development experience comes in handy. We design custom content management systems (CMS) for high-performance websites offering a rich functionality set that generic CMS platforms are unable to handle. We start with expertly constructed content management and delivery applications – including editors, indexing tools, asset managers, search engines, version control modules – and then personalize the front- and back-ends to fit your specific content strategies. Though we do build beautifully bespoke content management systems, we have plenty of experience creating and deploying enterprise-class websites by customizing and building additional plug-ins for popular CMS platforms like Joomla, WordPress, Umbraco and Drupal. And as certified Magento partners, we specialize in configuring their e-commerce content management system and other applications. Our custom Enterprise Content Management Systems (ECMS) are all designed with your employees’ needs and existing workflows in mind. On top of all the traditional web CMS functions, we design software that makes it easy to digitize and index paper content, designate user roles, collaborate with coworkers, schedule publications, and automate workflows. We can even configure popular third-party ECMS’s like Confluence, Sitecore and DocuShare. We create and connect APIs that enable your ECMS solution to communicate seamlessly with your other applications, including programs for Customer Relationship Management (CRM), document and digital asset management, and sales and marketing automation. We also integrate centralized Business Intelligence (BI) and analytics software, enabling you to study visitor demographics, user behavior and conversions. While traditional CMS’s might require messy plug-ins to properly handle search engine optimization (SEO), our custom systems allow you to start creating search-friendly content upon installation. We program SEO tools to help you create perfect URLs, manage metadata, index and authenticate with Google, analyze performance, integrate with social media profiles and build ideal link profiles. Ensuring the integrity of your data and safeguarding against hackers is critical, which is why we program security features like Role-Based Access Controls (RBAC), multi-factor user authentication protocols, simple permissions management dashboards, and automated alerts to mobile device upon unauthorized activities. We also integrate compliance and audit trail trackers for industry-specific needs.